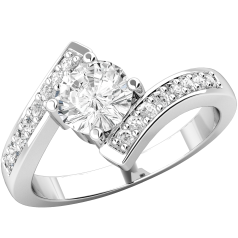 An engagement ring is more than a piece of jewellery, it’s something your significant other will likely wear every day for the rest of her life. 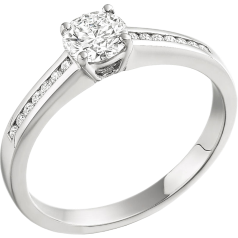 That’s why it is important to take in consideration the taste and lifestyle of the receiver when deciding on a ring. 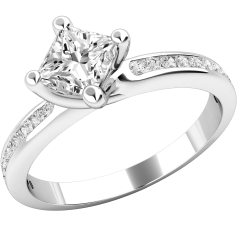 Some people prefer diamonds that are not too big for everyday wear. 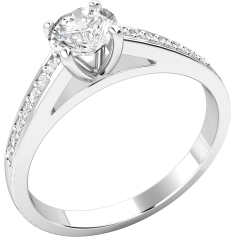 For them a single stone ring with shoulders can be the answer. 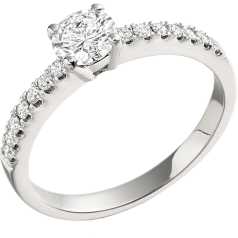 Although the focus is still on the single stone in the centre, even if it has a more discreet size, the small diamonds on the shoulders add to the brilliance, elevating the ring to a new level. 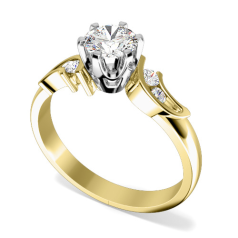 If you don’t know for sure, you can get an idea about which shape stone would she love by looking at the jewellery your partner currently owns. 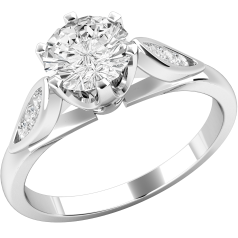 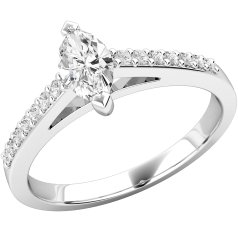 We offer our single stone rings with shoulders set with the most popular shapes of diamonds. 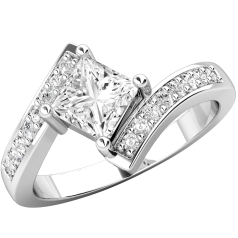 The centre diamonds can be round Brilliant cut, Emerald cut, Radiant cut, Princess cut, Marquise, or Heart-Shape, while the shoulder stones are small round Brilliants, Princess cuts, or Baguettes. 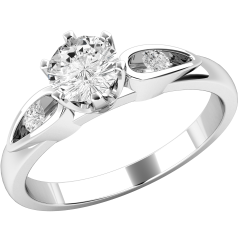 The central stone can be set in Claw, Bar, Rub-Over, or Tension setting. 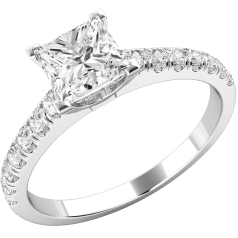 The smaller shoulder stones are usually set with claws, in Pavé, or in Channel on the shank to keep them safe. 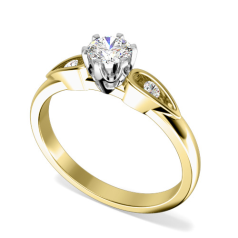 The different designs of single stone rings with shoulders you see on our page are made out of a selection of precious metals: white gold, yellow & white gold, yellow gold, platinum, and palladium. 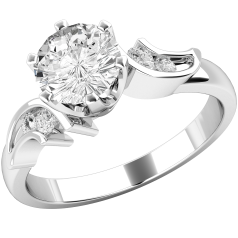 Our collection contains a wide array of single stone rings with shoulders, ranging from timeless to more playful designs. 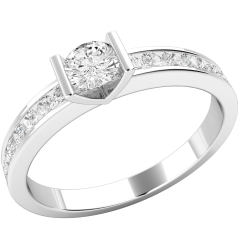 We hope that each of our visitors finds their perfect engagement ring among our handmade single stone rings with shoulders.